Welcome to Por Vida Tattoo. 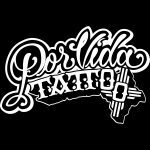 Because tattoos and piercings are permanent, Por Vida wants your experience and satisfaction to be enjoyable and memorable. Most of our clients return again and again because of our commitment to quality. For your safety, Por Vida uses all new sterilized products: single-use sharps and an autoclave to sterilize items that cannot be single use such as surgical stainless-steel forceps and tubes for our tattoo machines. Please review and agree to the following terms that help us serve you.